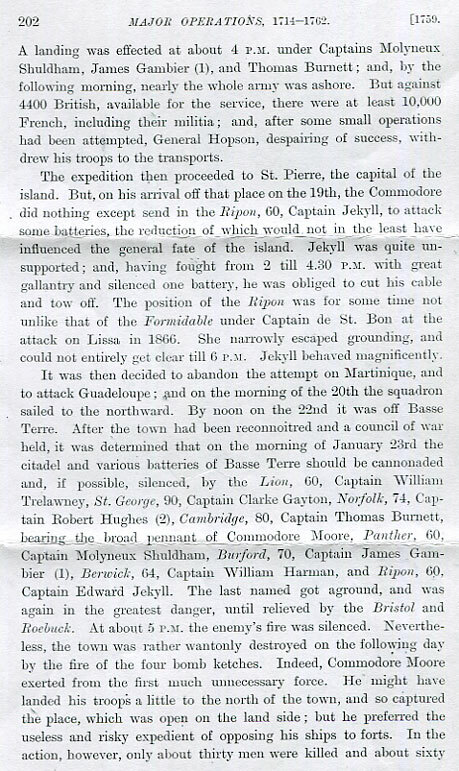 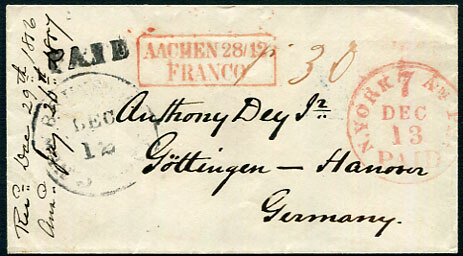 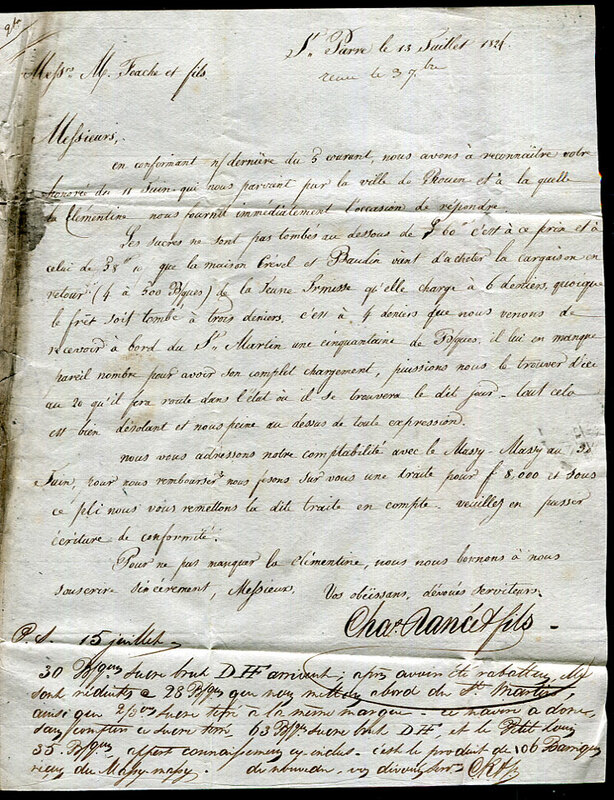 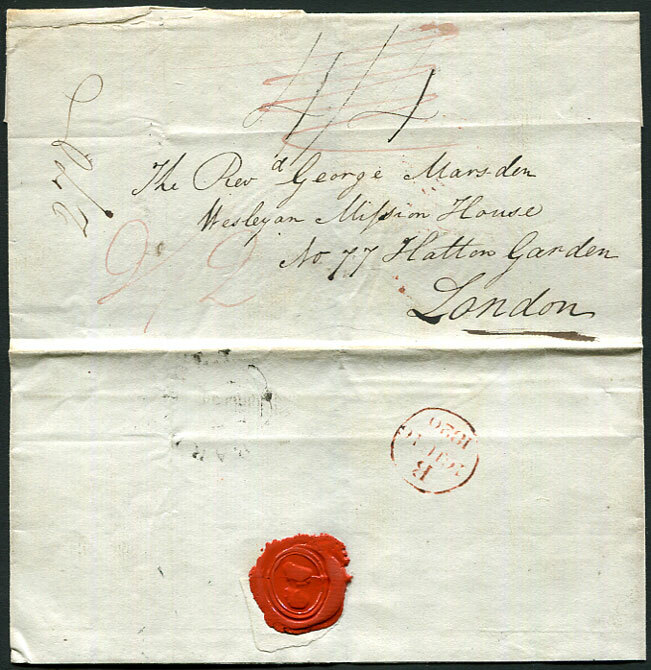 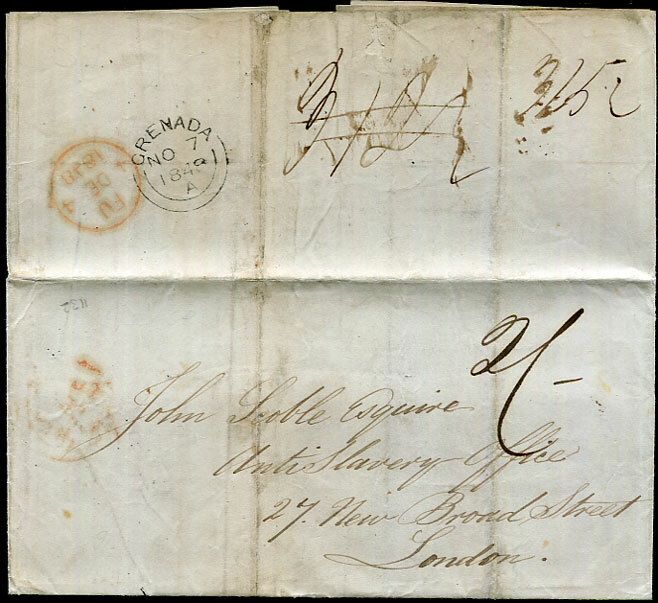 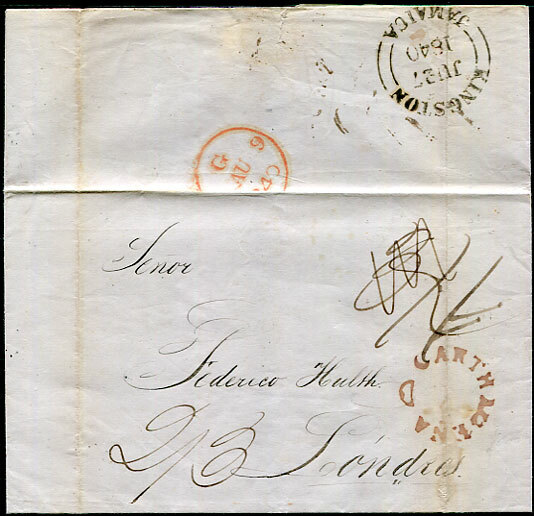 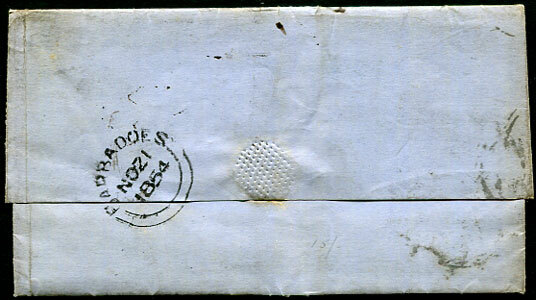 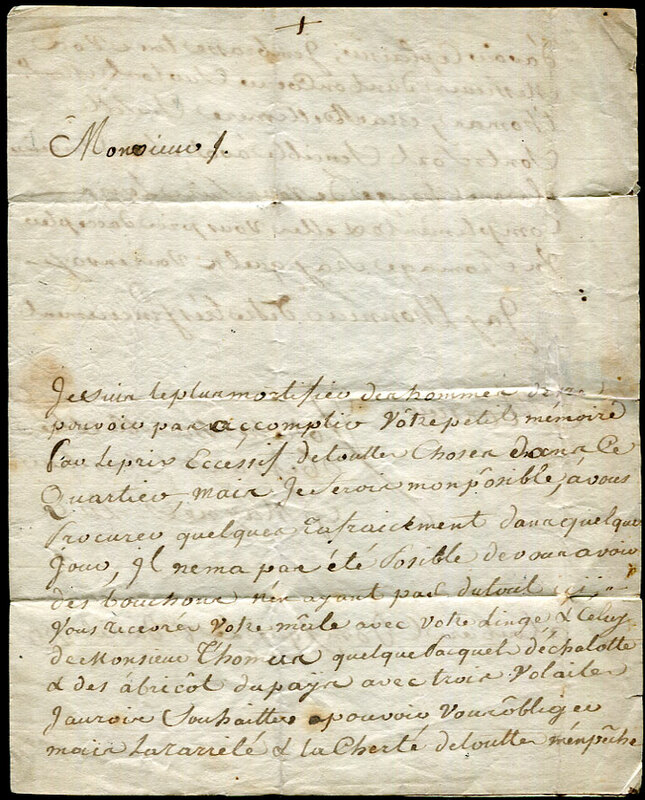 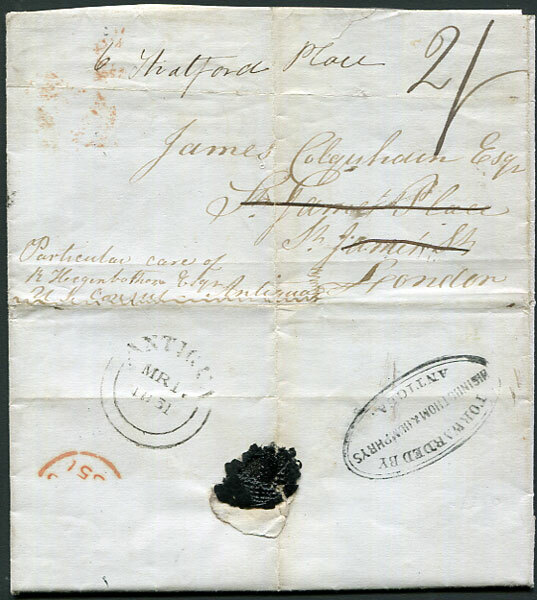 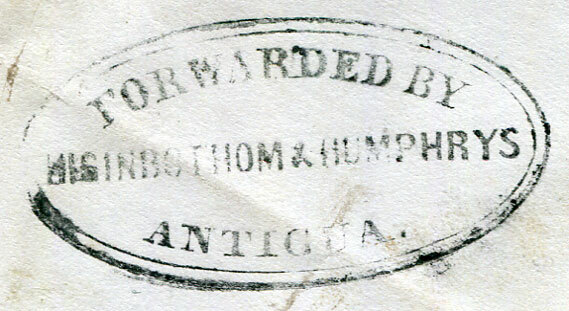 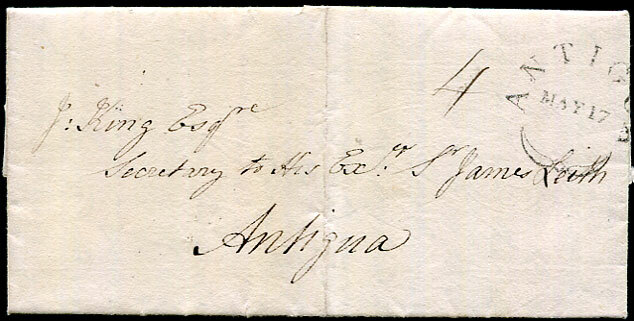 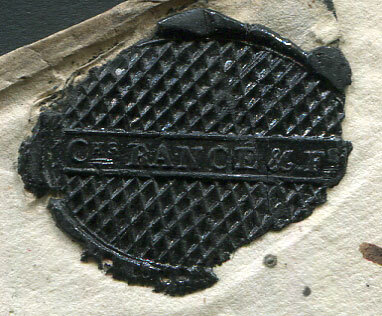 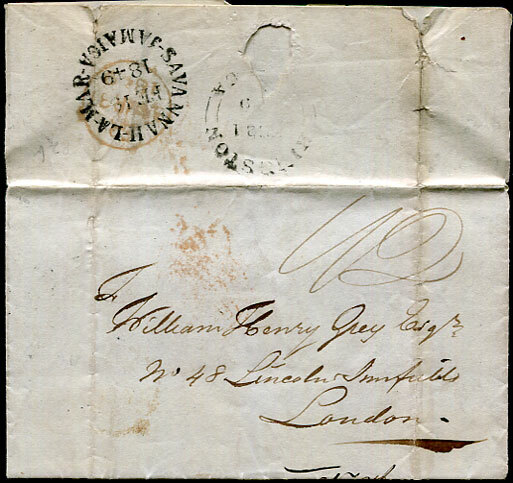 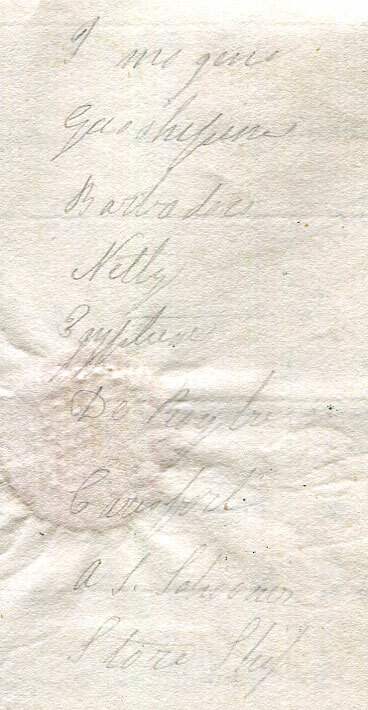 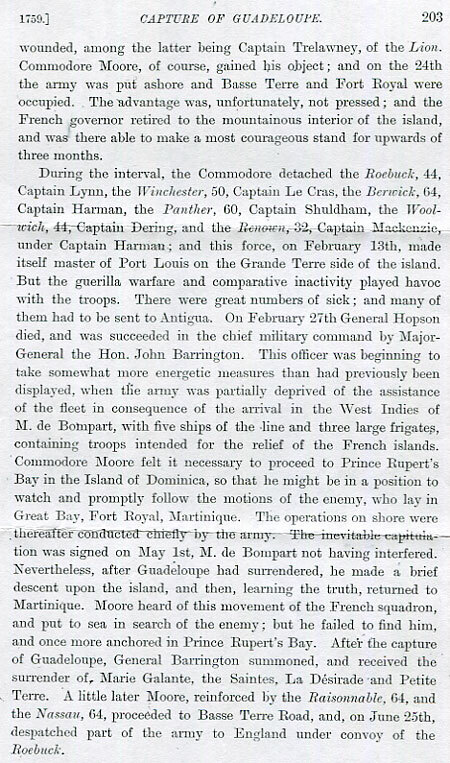 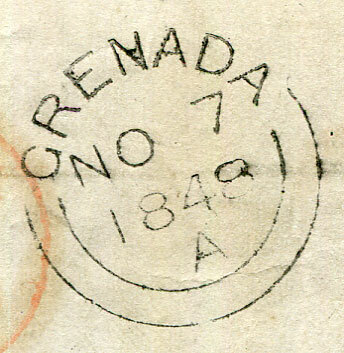 1810 (June 10) entire to London rated 2/- with SPANISH TOWN/JA across flap and showing red JY 23 1810 arrival. 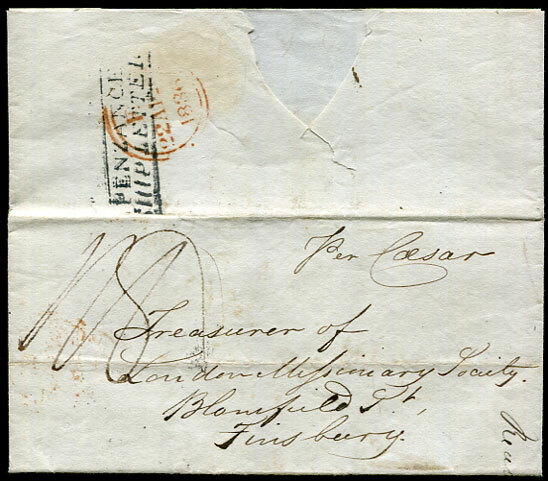 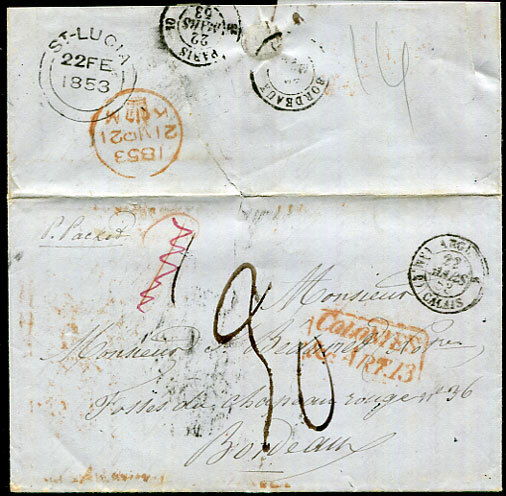 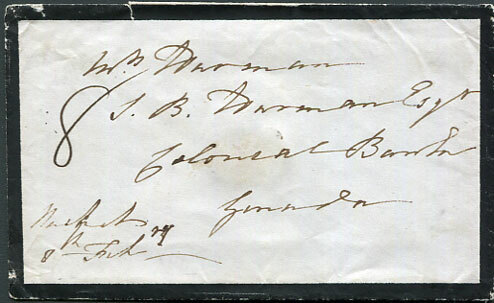 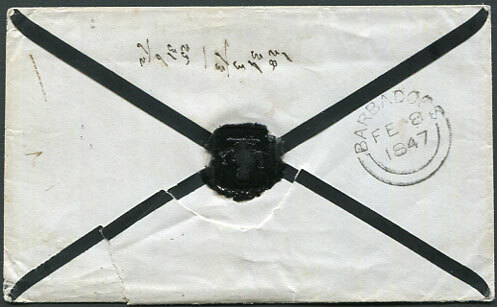 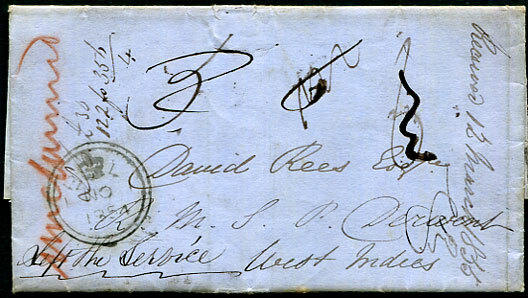 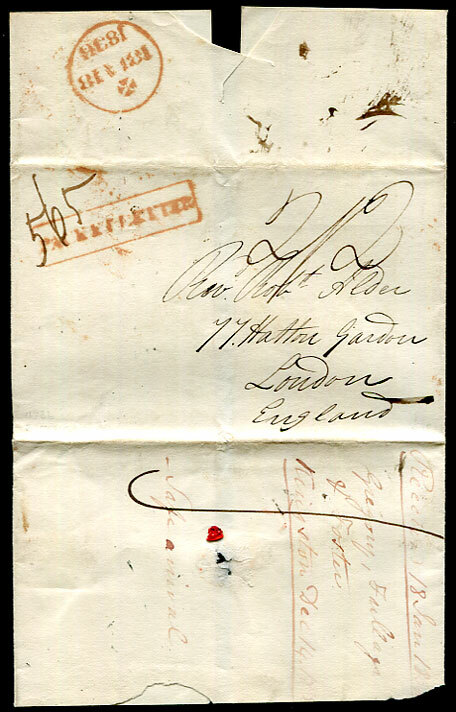 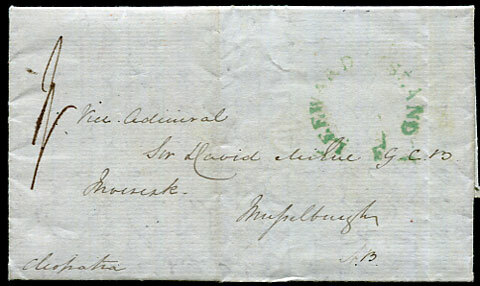 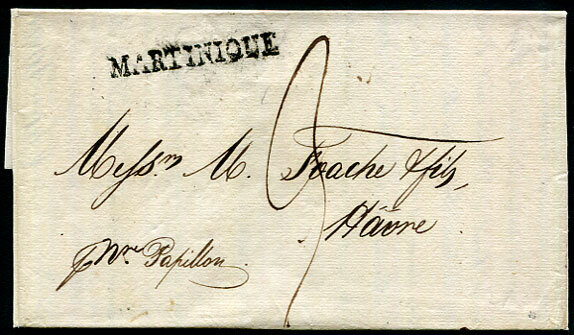 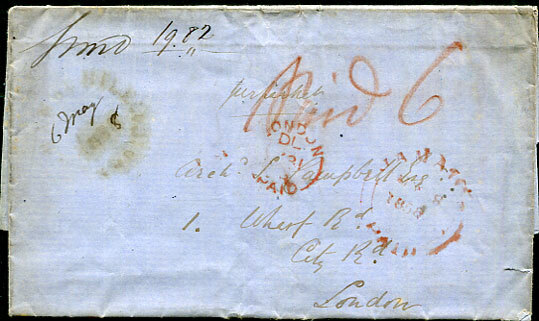 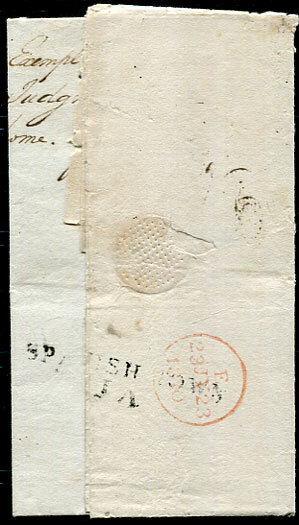 1849 entire headed "Petersfield, Westmoreland" to London rated 1/2 with SAVANNAH-LA-MAR FE 18 1849 displaying top flap. 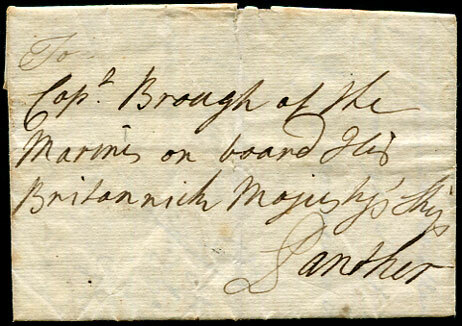 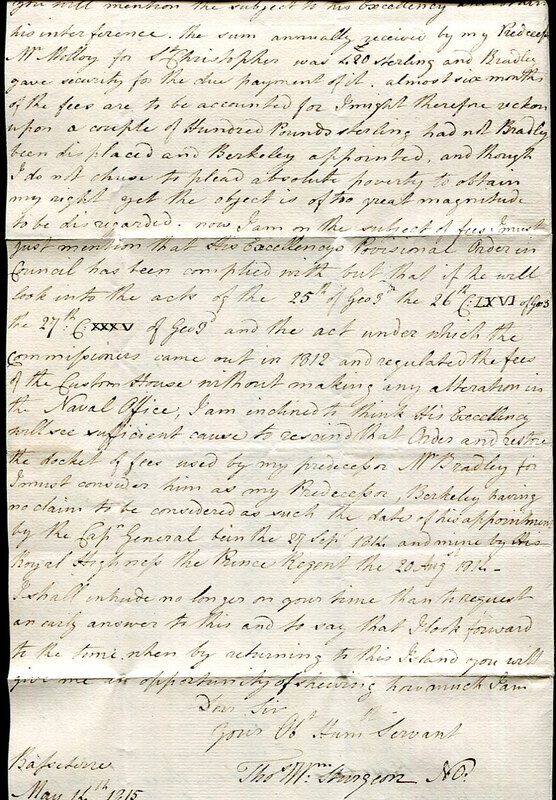 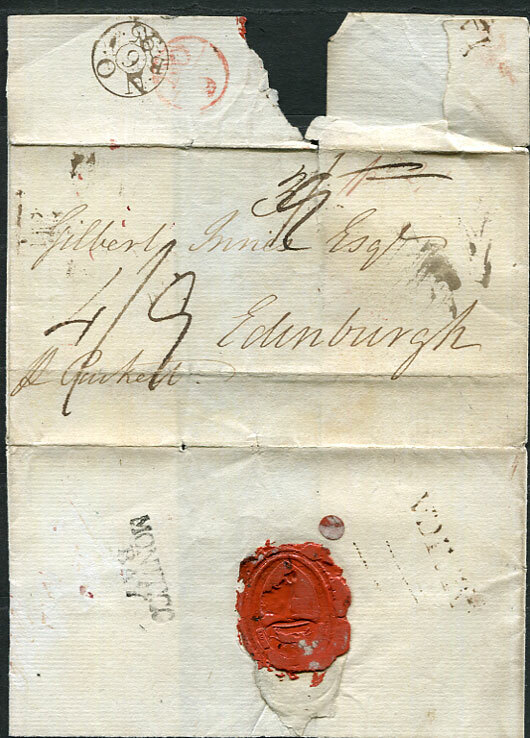 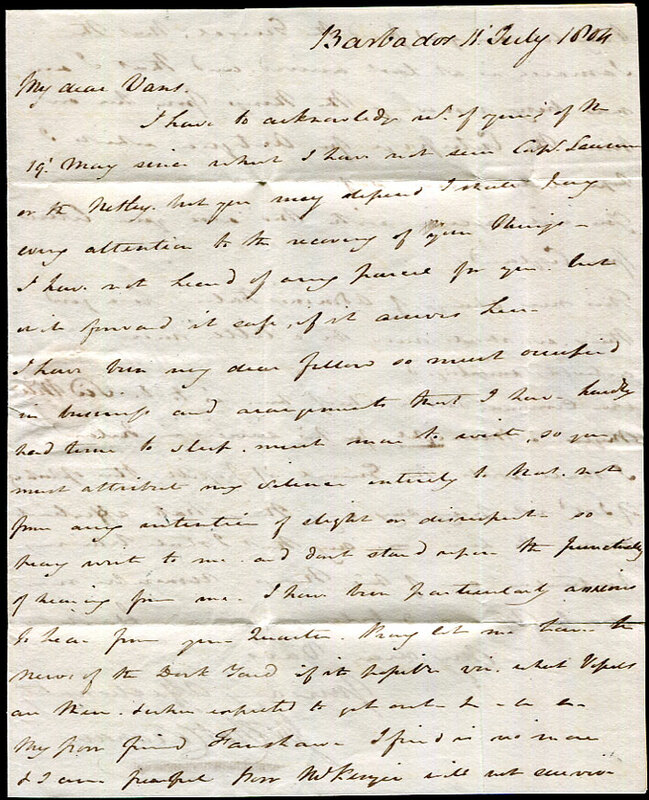 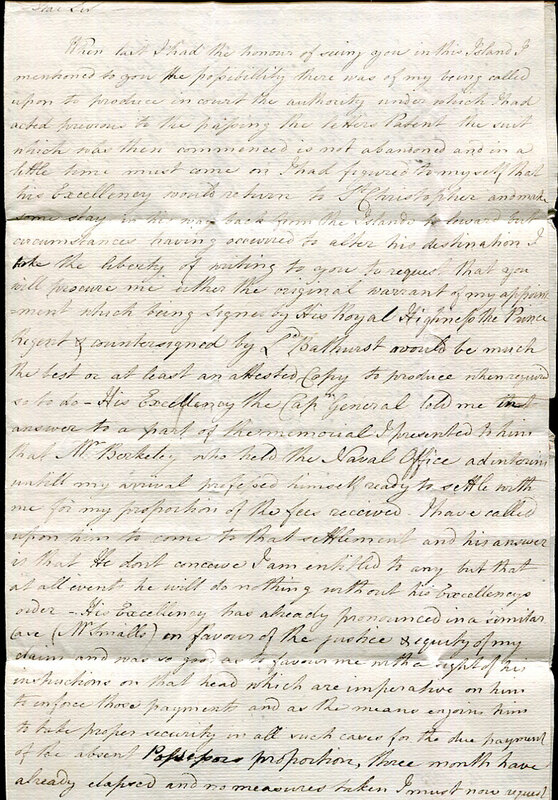 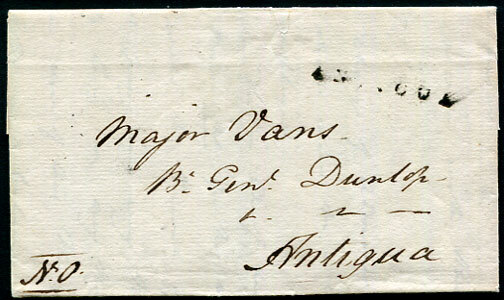 1795 outer wrapper docketted "Macln Gillies Esq, Jamaica 15 Sept 1795" (Major MacLaurin Gillies, Commissary-General for St. James OC 23 1795) to Gilbert Innis, Edinburgh rated 3/- changed 4/9 with lower flap displaying MONTEGO/BAY 2-line and IAMAICA, NO 6 95 Bishop mark arrival. 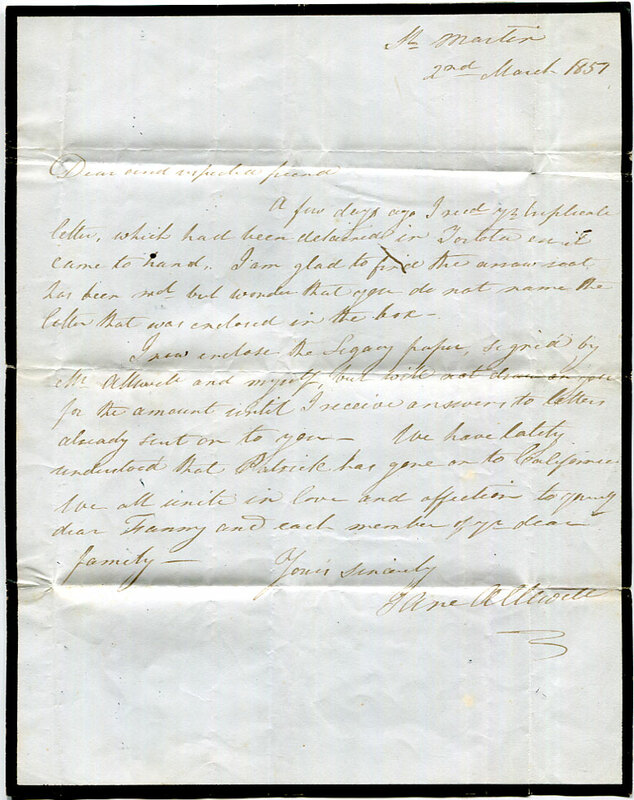 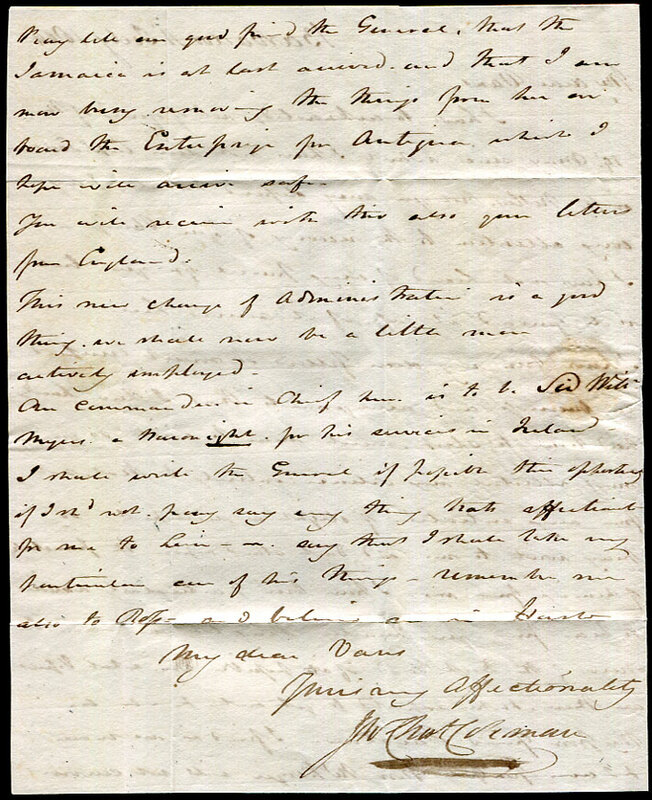 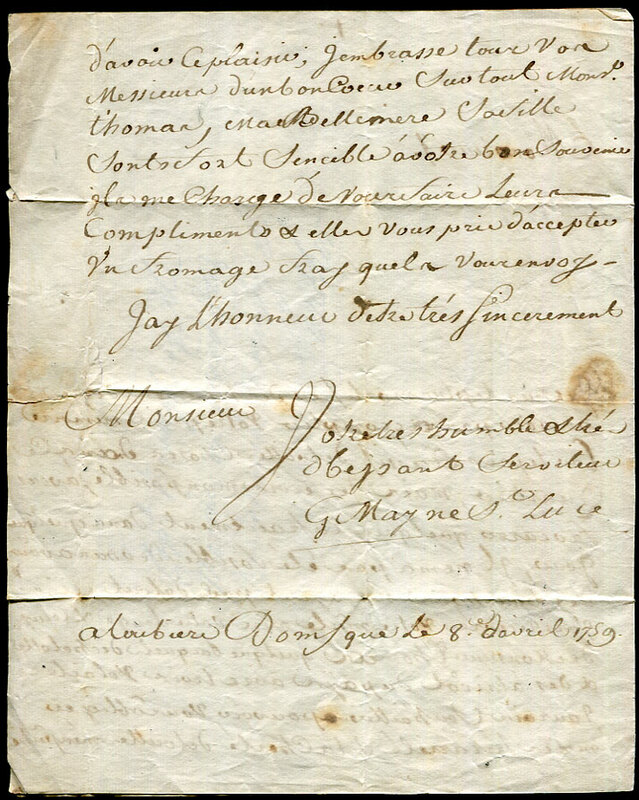 Posted during the period of the Maroon Wars July 1795 to March 1796.